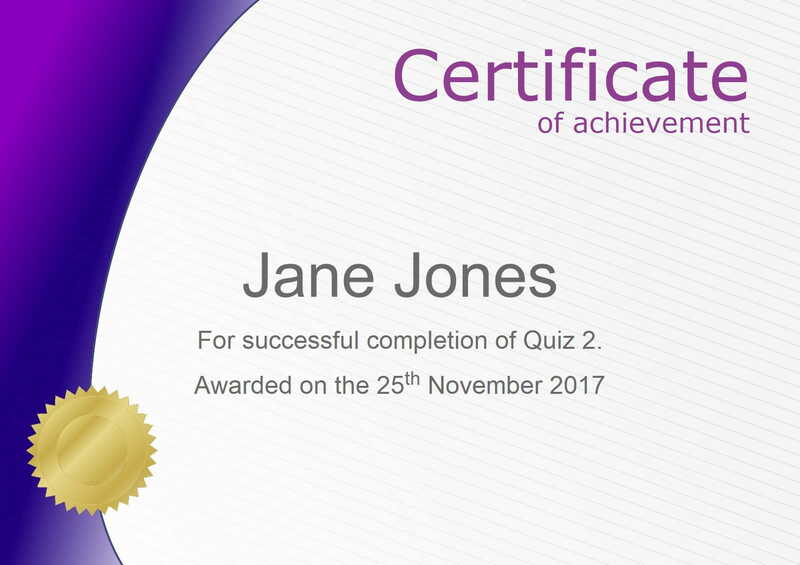 FlexiQuiz can automatically generate a PDF certificate which can be downloaded or emailed to a respondent if the pass your quiz. FlexiQuiz provides 3 ready to use templates or you can also create your own fully custom certificate. Certificates are dynamically generated and populated with the respondent's details and can optionally also include predefined dynamic fields. 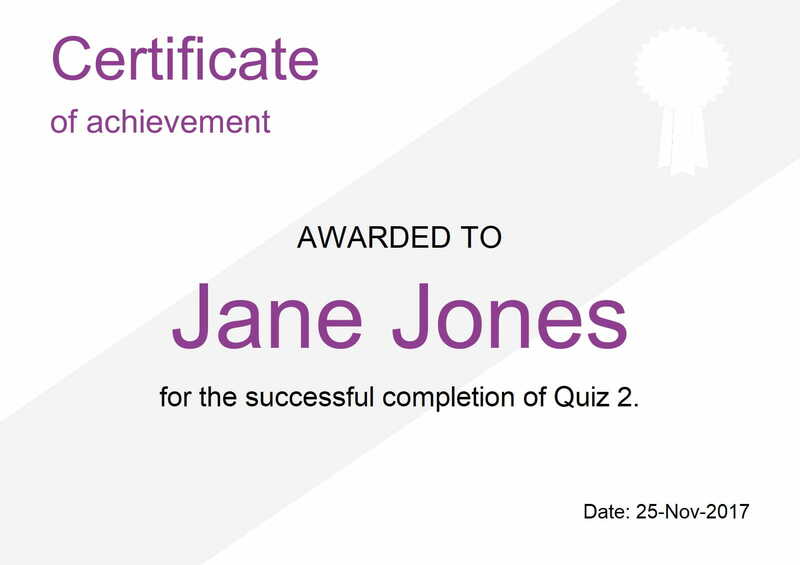 You can access the certificates screen by selecting the Certificate tab within the Configure screen of your quiz. 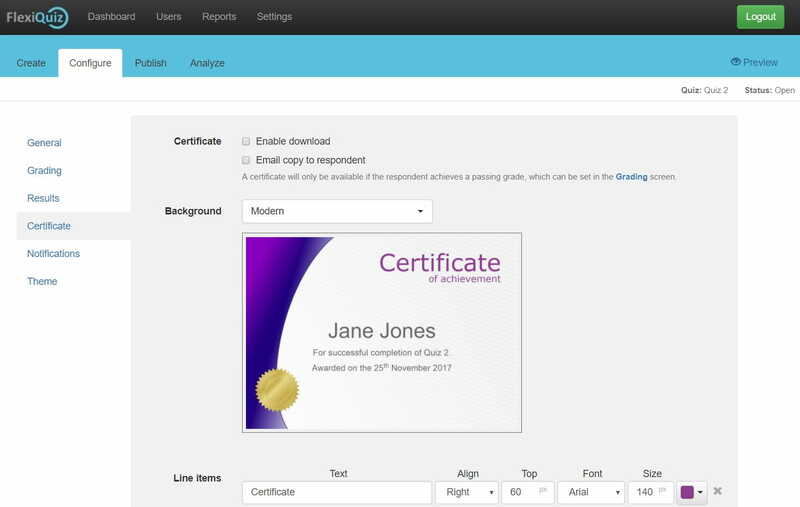 You can also upload your own certificate background by changing the Background type to Custom. Backgrounds should be uploaded using a standard image format and it is recommended the background is 1600px by 1130px.